The United States Postal Service has been an easy target of late. Last year they announced a $15.9 billion loss. This year they announced the coming end of Saturday service. The jokes never seem to end as people bemoan every bad experience they’ve ever had. Everyone thinks they can run it better. Everyone thinks it needs to privatize. Or get with the times. We send email for goodness sake. It’s kind of annoying. I like the post office. Which is why this Esquire article is worth reading. Nobody seems to understand that this isn’t entirely the fault of the United States Postal Service. The last time the USPS was in the black? 2006. Not so coincidentally, that’s when Congress forced the USPS to pay off 75 years worth of future retiree’s benefits in the next 10 years, something no other government agency has to do and something most private companies would spread out over 40 years or more. The result? 70% of the USPS’s loss last year—$11.1 billion—came from these future health care payments. A $4.8 billion loss is still something, but it’s a lot more manageable out of a total budget of $81 billion. It’s not quite as dire. The reality is that for all the complaints about the United States Postal Service, we forget what it really offers. It connects everyone in the United States like nothing else. You can deliver a letter from one end of the country to the other for the same price as sending it across town. You can literally reach anyone in the country. 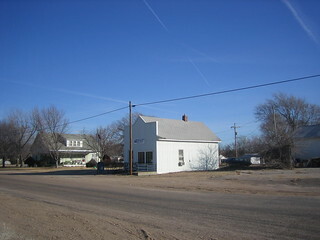 The Postal Service is required to get the mail to people, even in rural areas, where Fed Ex and UPS rely on the Postal Service to go that last mile. Even in our digital age when mailing letters seems quaint, we still rely on the Postal Service. Our Amazon goodies have to get there somehow and UPS won’t deliver everywhere. The Postal Service also delivers that physical touch that’s lacking today. You want to impress someone today, send them a hand-written letter. You can’t do that very easily without the USPS. An aging population even relies on the Postal Service for medication as well as connection. Few realize that the Postal Service handles the mail of half the planet. It connects Americans across 3.7 million square miles of territory in just a few days, often overnight. Last year the Postal Service delivered 160 billion pieces of mail. You’ve got mail: 508 pieces per person. Few seem to grasp the complications inherent in that undertaking. Just watch a line of people at the post office as they have to wait. We’re used to retail lines where scanning each item takes a second or less. But at the post office each item can’t simply be scanned in simple efficiency. Every letter and package can go anywhere with all kinds of different options. It takes a little more time for the postal clerk to punch in a ZIP code for each package and ring up your Priority Mail, first class, insurance, tracking, etc. It’s not a simple job, but because they’re not as fast as the checker at WalMart who just has to run things across a laser beam, we get impatient. It seems easier to make jokes, to scoff and to imagine we could do it better than to grapple with the realities of what the United States Postal Service actually means. It’s a service founded by Benjamin Franklin with the lofty goal of binding the nation together. I like the post office. It’s not perfect. I don’t get how those glossy flyers with furniture sales help bind the nation together, but I do like getting a birthday card from my grandma. Any organization employing some 600,000 people is going to have a few bad eggs, but some of the greatest people I know work at the post office. One of them knows my kids by name and is ready with a sticker, asking questions and being awesome—all while still punching in ZIP codes and processing my packages faster than any other clerk I’ve seen. Those workers are always ready with a wave and a quick answer to my logistical challenges. My grandpa delivered mail. I never saw him do it, he was retired by the time I came along, but it seems only fitting. His casual style and ease with people makes it perfect that he’d travel that small town delivering the mail and shooting the breeze with every passing farmer. It helps explain why going to the post office was a regular ritual when I was a kid visiting Grandpa. I never knew this until a few years ago, but it also created a Christmas tradition in my house. As a kid we always have homemade cinnamon rolls on Christmas morning. I never knew why and who would question such a delicious tradition? But it came about because someone on my grandpa’s route always made cinnamon rolls and gave them to him for Christmas. My dad grew up eating gifted cinnamon rolls on Christmas morning, a present to a United States Postal Worker. That’s a tradition I can embrace. And that’s a tradition we as a nation need to reclaim. Not Christmas morning cinnamon rolls (though again, why not? ), but embracing any effort to bind us together as a nation, to pull us together across the miles and physically unite us. The United States Postal Service certainly has its own problems and imperfections, but it also so much more to offer us as a nation.